Rarely has a red carpet jewelry trend been more clear than it was at the 2016 Emmys. The sparkle of the evening was all about statement earrings. As the program ended on Sunday night, I had a post of five of the best ear baubles of the night live on The Adventurine. The very next day a couple of the most artistic earrings that appeared on the red carpet by Brazilian designers, Fernando Jorge and Ana Khouri, came to my attention. I could not let the Emmys week come to a close without taking a look back at the designs and the women who wore them. Keri Russell (above) is clearly a big fan of Brazilian jewelry designers. The Americans star wore Ana Khouri’s diamond hand bracelet last month when she attended a state dinner at the White House. 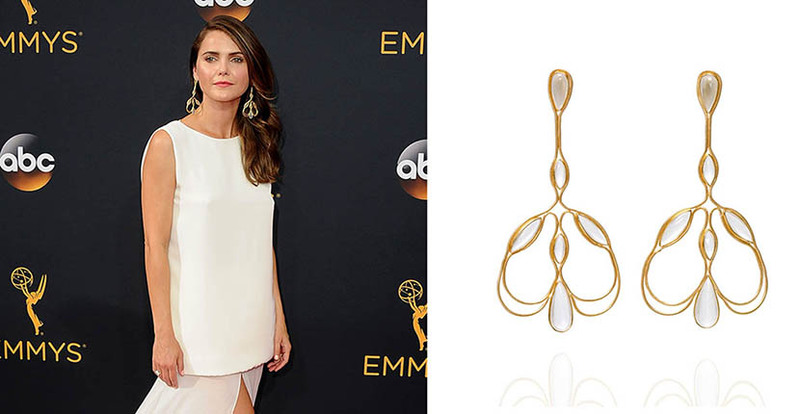 For the Emmys red carpet, she slipped into an amazing pair of Fernando Jorge’s Fluid Chandelier gold earrings set with milky quartz. The eye-catching organic silhouette of the jewels perfectly matched Russell’s flowing asymmetrical Stephane Rolland white gown. 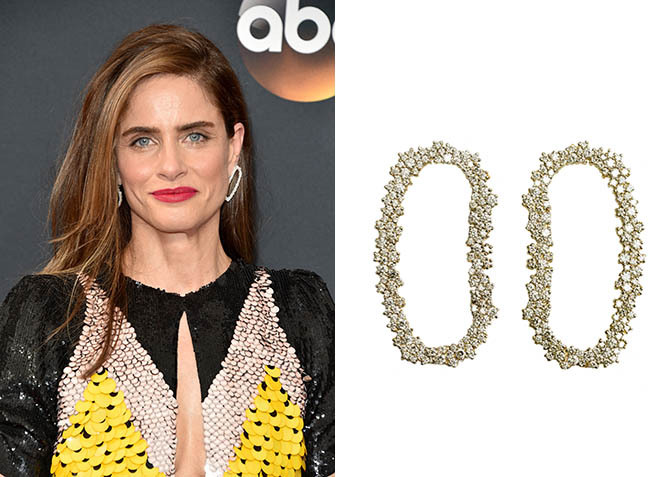 Amanda Peet, who attended the Emmys in support of her husband a producer and creator of Game of Thrones, looked amazing in a color-block Altuzzara gown and diamond Mia earrings by Ana Khouri. The stunning jewels have diamond clusters in a large organic oval shape that rest on the front of the lobe asymmetrically. The designs show yet again how Ana works with the lines of the body to design jewelry that works in unison with the anatomy.